Did negligent security contribute to the victims death at a Columbia apartment complex and are justice and compensation available to the victims families? Gunfire erupted Thursday morning and “[t]wo men were killed in a shooting at an apartment complex in northeast Columbia,” according to TheState.com. “Two males were found dead in building 14 at Willow Run Apartments on Alcott Drive shortly after 9 a.m…. [t]heir identities have not yet been released,” according to WisTV.com. 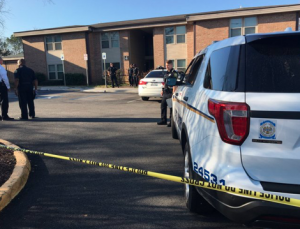 Media reports indicate that this Columbia apartment complex may have been the location of additional shooting investigations. Specifically, WisTV.com reported on incidents at this apartment complex in July 2008 and November 2011. Have there been prior incidents of violence on property? If prior incidents of violence exist, what did the property owners do after the incident to address that situation? What security measures, such as bright lighting, gated-entry, fencing, monitored surveillance cameras, and visible security patrols, were in place to deter crime and protect the victims at the time of the shooting? Generally, property owners are required to protect all those legally on the premises from any foreseeable harm. Should the facts of this matter reveal that the apartment complex owner failed to provide adequate security to protect those on its premises, the victims families may seek justice and elect to pursue legal claims for the victims wrongful death.